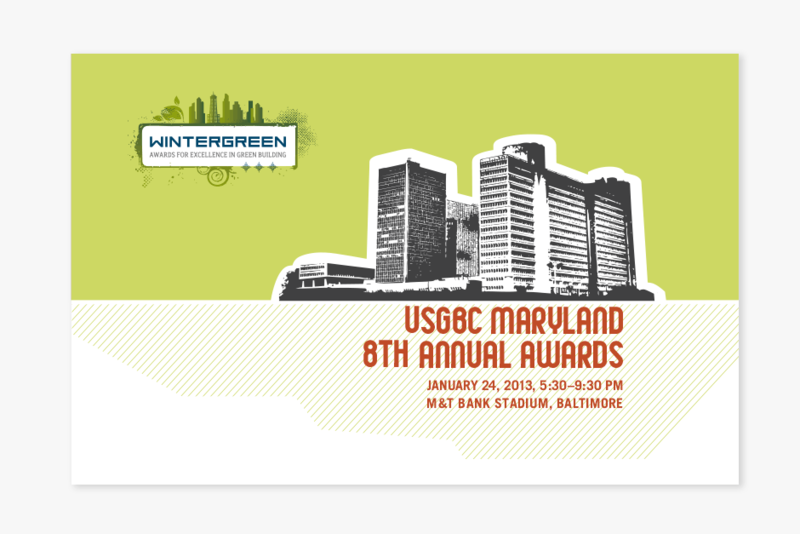 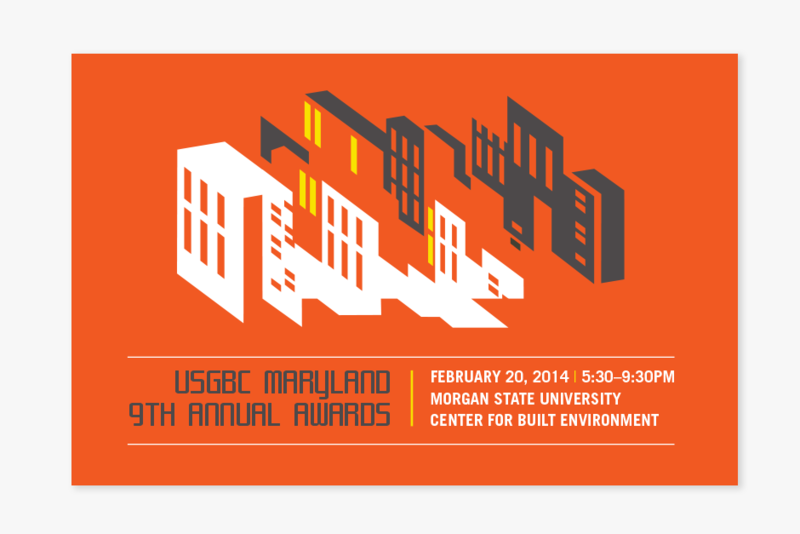 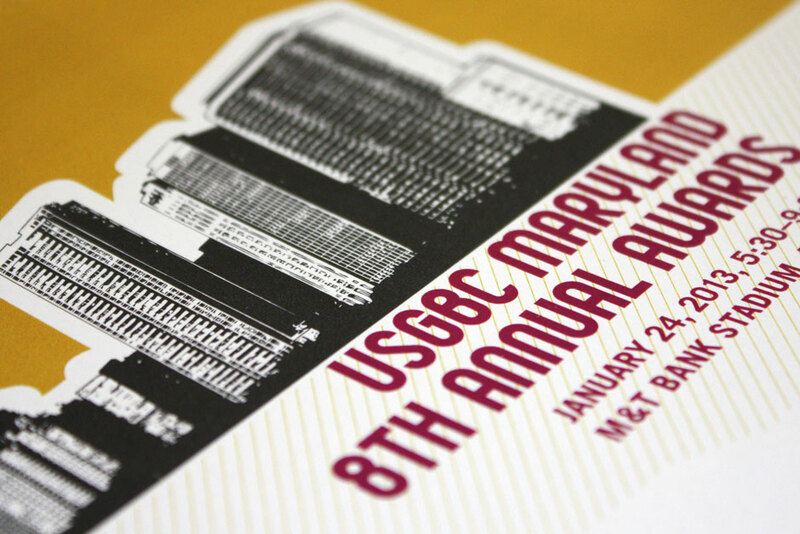 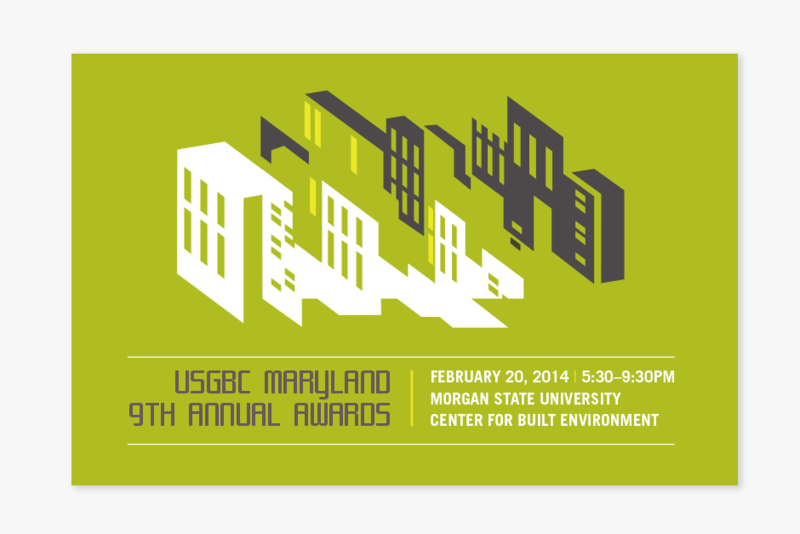 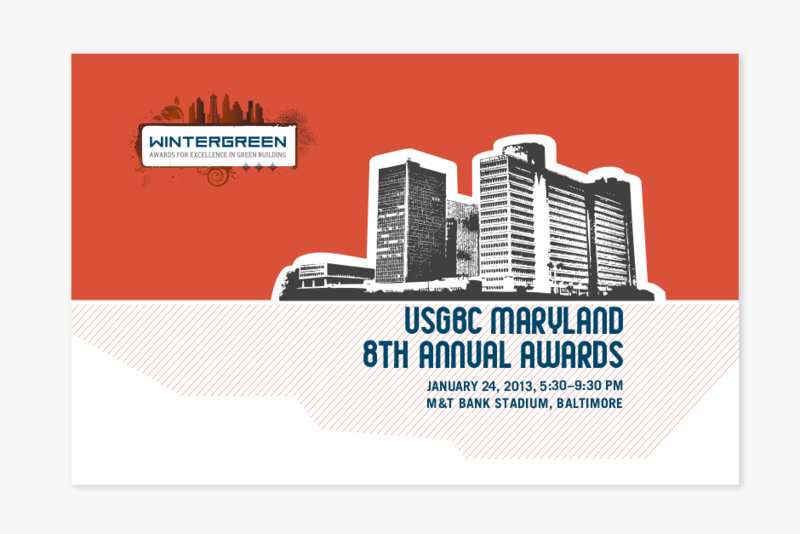 U.S. Green Building Council (USGBC) Maryland’s annual awards program celebrates excellence in green building and honors outstanding accomplishments in sustainable design and construction in Maryland. 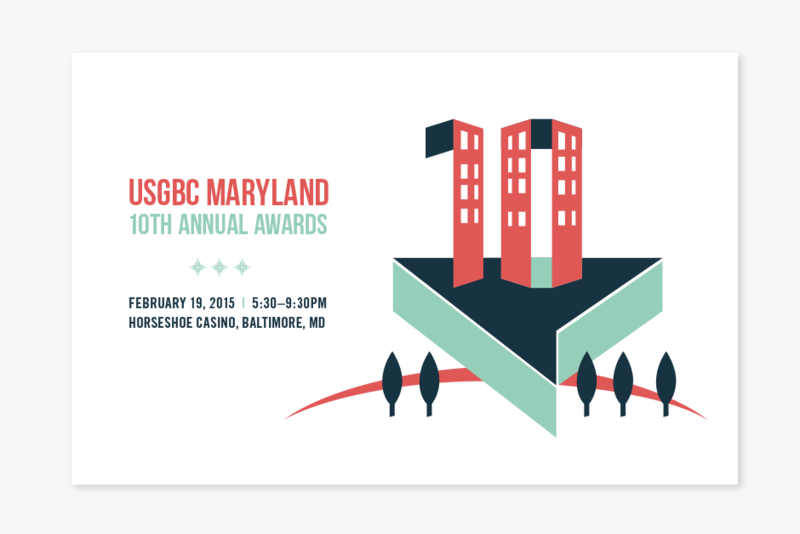 The annual awards program is a signature event that draws several hundred attendees and leaders in green building from the greater Baltimore region. 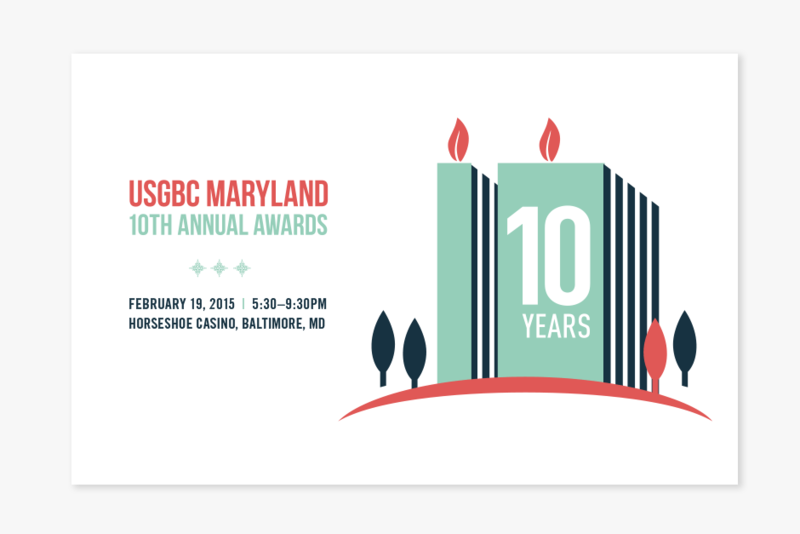 Since 2008, Substance151 has been working with USGBC Maryland to create event materials, and in 2010 we developed a new identity that gives the event its own distinct brand. 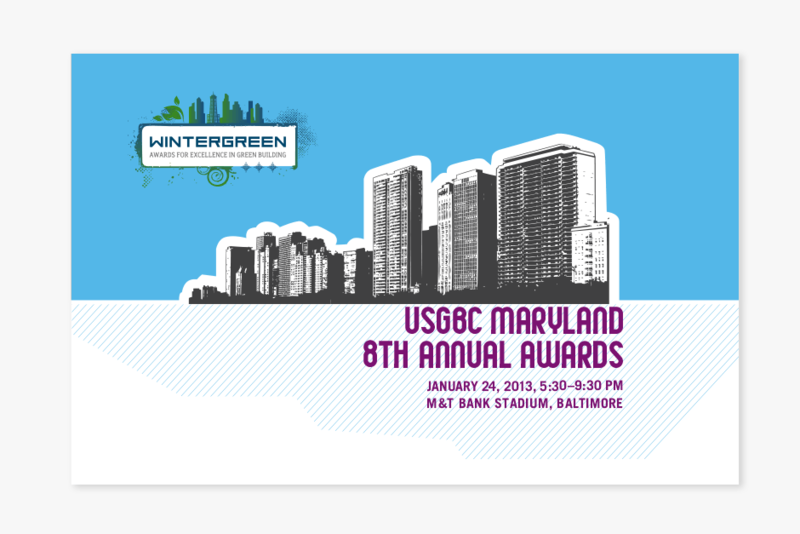 Working with the concept of green building and winter wonderland, Substance151 created a mark that distinguishes the Wintergreen Awards from other USGBC Maryland programs, as well as from other green building awards in the region. 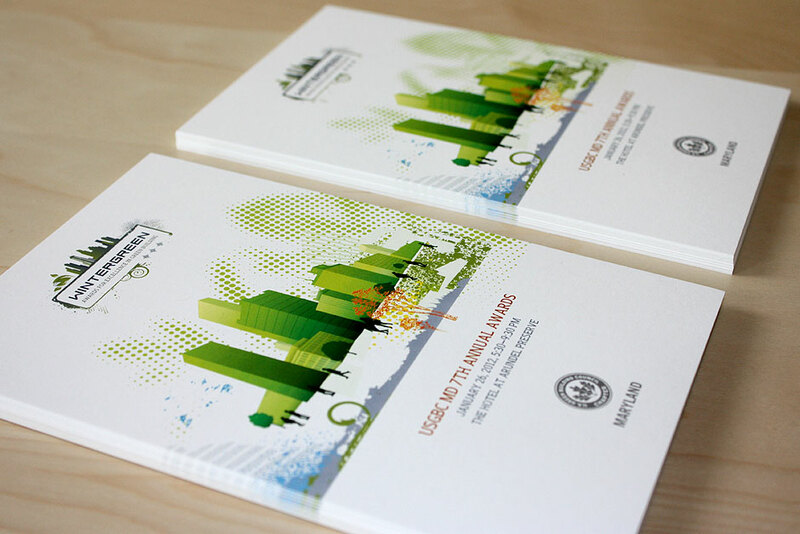 The event materials have a different visual theme each year, creating a distinct campaign for each annual program. 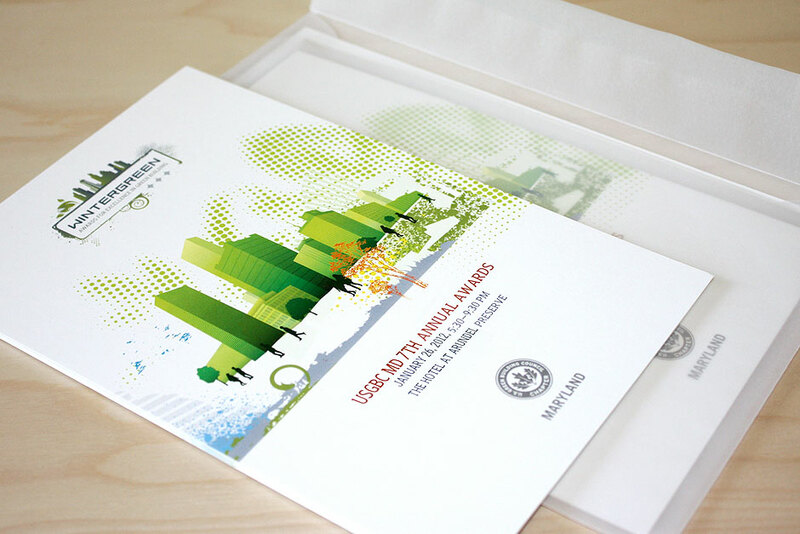 The illustrative design style creates visual contrast against the project photography and communicates the celebratory spirit of the event. 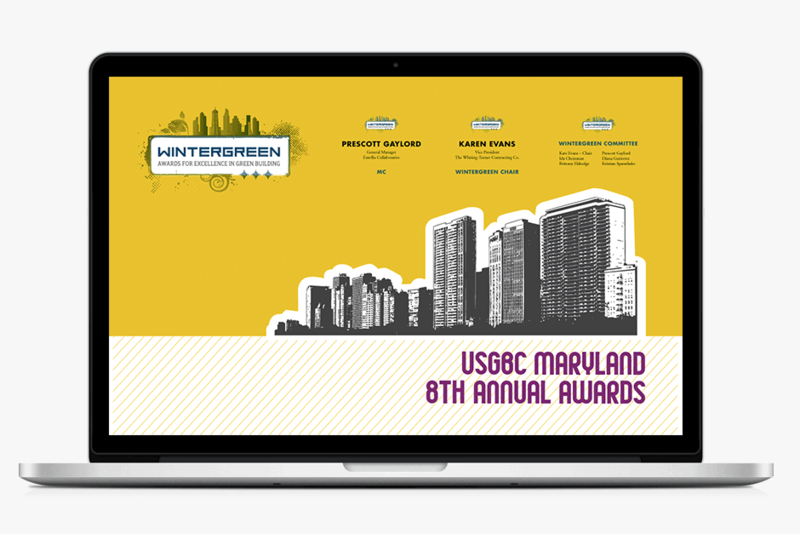 Substance151 creates and manages all marketing efforts associated with the awards – from the event announcements, event web page and email marketing to the social media strategy and live awards presentation.